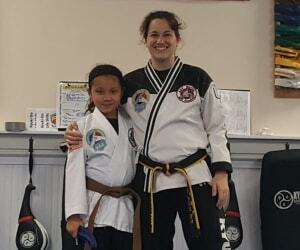 Our Crystal Lake kids martial arts classes do more than teach self defense. Children learn discipline, self-awareness, respect, coordination, goal setting, and much more! In addition to these benefits your child will also improve their fitness and have a ton of fun. Our kids classes are great for kids ages 7 and up. The classes include group and individual activities to help children grow and improve their social skills and their ability to work independently. 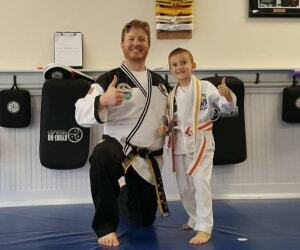 There is more to martial arts than just kicking and punching and your child will quickly begin the many benefits that martial arts can provide for kids. “Respectful”. “Confident”. “Focused”. These are just a few of the words that parents are using to describe their young kids after joining our Pre-K Martial Arts program. Classes are more than just fun, they are educational! Kids as young as 3 years old up to age 6 will begin learning the concepts of respect, discipline, and our structured program will help them learn to set and achieve goals. The best part about or preschool program is that you will be there to work with them every step of the way. Parents help encourage their kids and will get a front row seat to seeing them grow. 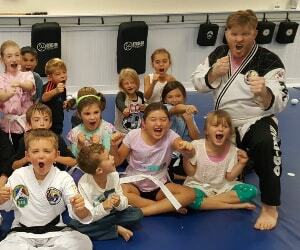 “Best Birthday Party Ever!” That’s our goal with your each and every kids birthday party at our Crystal Lake martial arts school. Our birthday party packages include a ton of fun, exciting games, and amazing food. Your child and their friends will learn real martial arts skills working with our instructors. Want to know the best part? We take care of everything. Yep, all you have to do is get the kids there and then relax. We’ve got it from here. Of course, you are welcome to be as hands on as you’d like to be, but we’re here to show the kids a great time that they’ll always remember.